I will never look at grilled cheese the same way again. Never in my life had I ever considered a sweet grilled cheese. 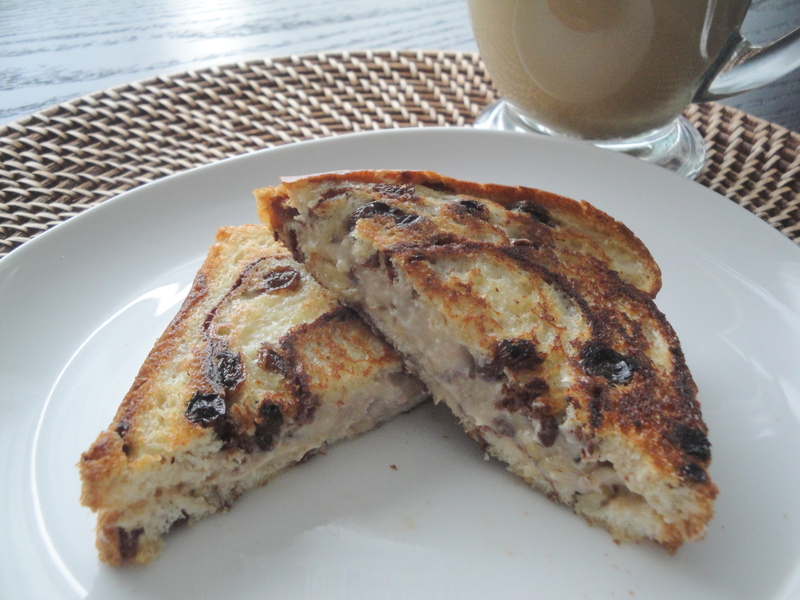 I’ve had sweet sandwiches before (like this Panini with Chocolate and Brie) but nothing like this Walnut Cream Cheese Sandwiches on Cinnamon-Raisin Bread. 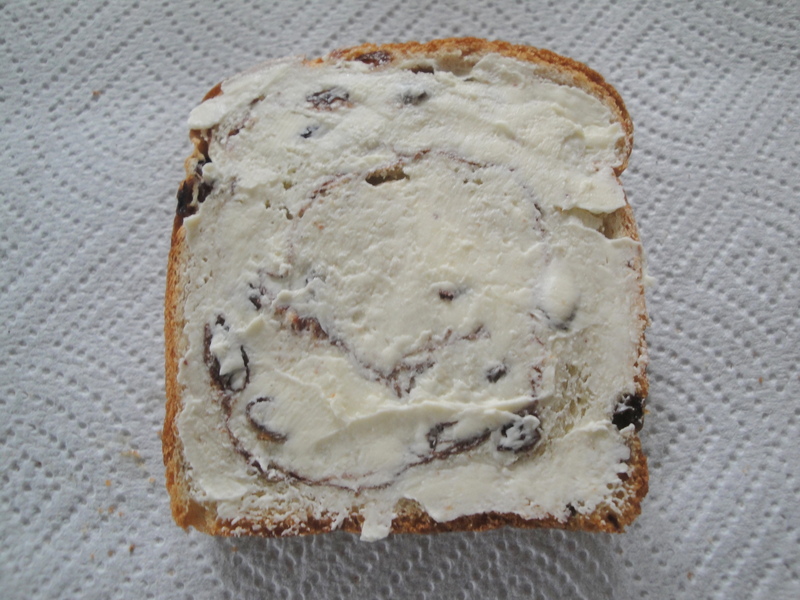 Every once in a while when I go out to get a bagel from the bakery, I’ll splurge and get the walnut-raisin cream cheese but it’s rare because it seems so decadent. Well, the walnut cream cheese in the middle of this sandwich tastes nearly identical. And I’m obsessed. 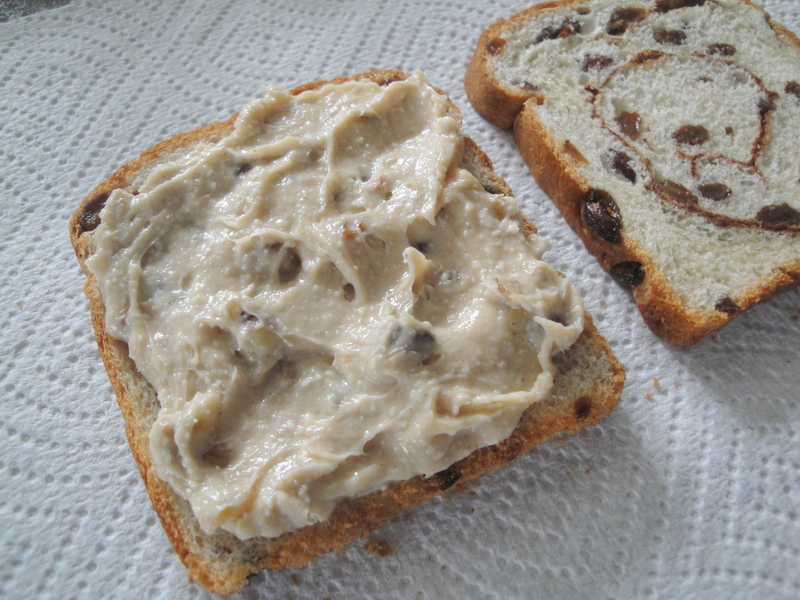 Cream cheese (I used reduced-fat), walnuts, brown sugar and cinnamon are mixed together until creamy and spread between two pieces of cinnamon-raisin bread which is then grilled in a little light butter until golden and slightly crispy. 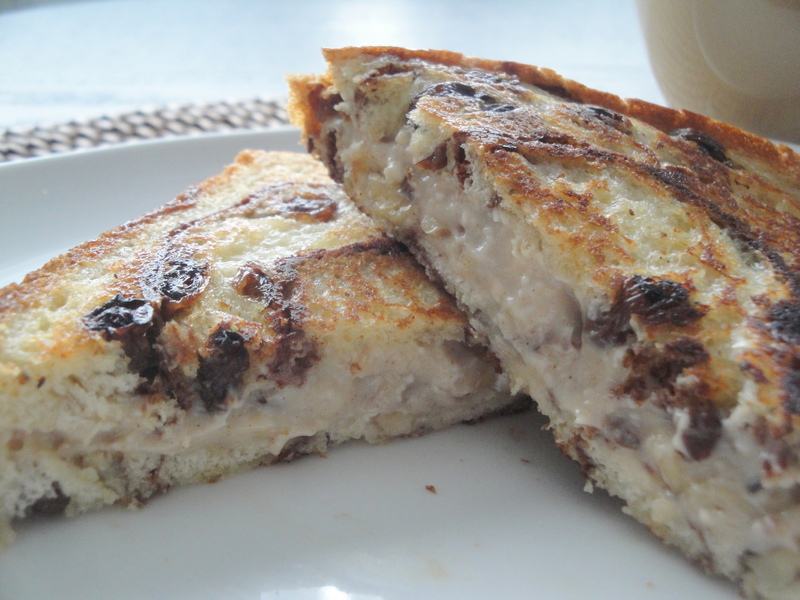 Even with using reduced-fat cream cheese and light butter, I still found this sandwich to be a little rich so if you aren’t into sweets for breakfast, this would make a great after dinner dessert. I mean, why not? You can control however much cream cheese you want in your sandwiches so you can make it as hearty as you like. Trust me, any leftover cream cheese mixture is stunning on a toasted bagel. Or licked from a spoon. Or licked from your fingers. Not that I know anything about that. 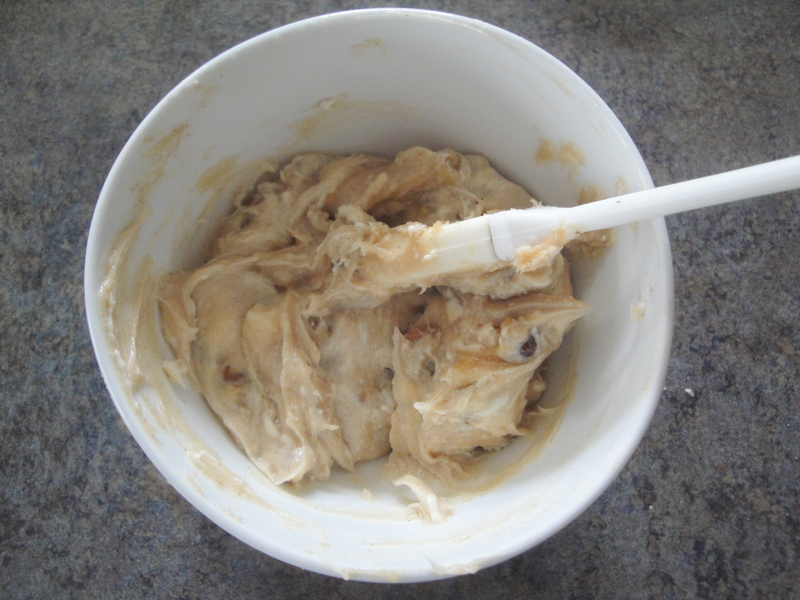 Combine cream cheese, brown sugar, walnuts, and cinnamon in a small bowl. 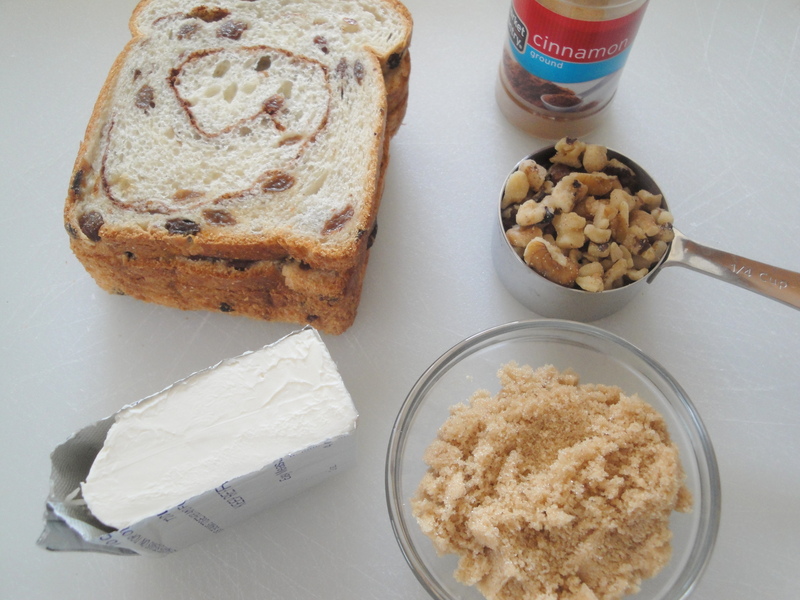 Spread cream cheese mixture on 4 bread slices; top with remaining 4 bread slices. Spread outside of sandwiches with softened butter. 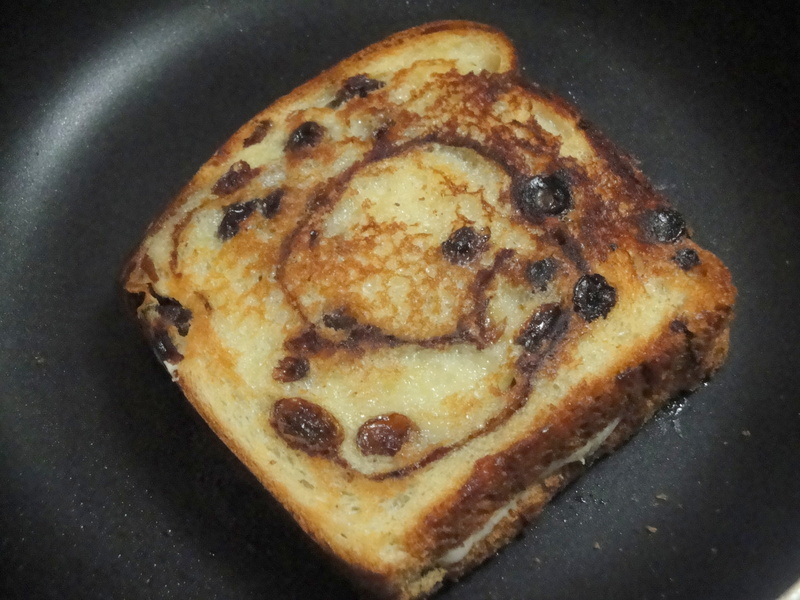 Cook in a nonstick skillet over medium heat 2 minutes on each side or until cheese melts and bread is golden brown. A Fork In Each Hand is on Twitter!